We all long for a skin product that will transform our skin. A product that will tighten, clear impurities, get rid of pigmentation and somehow miraculously give us dewy, gorgeous skin. I think it’s fair to say, we’re all still waiting? I used to constantly read all about the supposed science of each new innovative product, eagerly trying the most interesting, only to be disappointed time and again. Then I decided the most important thing was to use products without harmful chemicals (and trust me, all those expensive scientific ones are FULL of them) and to use serums and oils rather than moisturisers, because they are much better absorbed into the skin. And of course, the BEST thing you can do for your skin is to eat well, exercise a lot and drink water correctly. This will transform your skin like nothing else. However, nobody is perfect in their lifestyle (yup I promise you, that includes me) and we can all use a little help. I thought I knew about it all and then I discovered a product that really did make a difference to my skin. And it turns out not be a skin potion or a laser treatment. It’s called Collagen Shots. The name certainly gets your attention, but far from being an invasive, painful treatment, it’s a very pleasant tasting drink. And it actually works! It’s a powder that you mix with water and drink at night. It contains marine collagen, hyaluronic acid, acai berry, vitamins and minerals and has a pleasant mild berry taste. It has a small amount of stevia to sweeten it and I can assure you the ingredients are all very healthful with no nasties at all. However, as I take a lot of supplements anyway and make sure I exercise and eat well, I didn’t think it would make much difference to my skin. How wrong I was. The company sent me a months supply and within a week I noticed that my nails were stronger and not breaking off as usual. I then noticed that my eyelashes were a little thicker. I was rather impressed with this but couldn’t really see a difference in my skin. Collagen takes a good 6-8 weeks to renew so I decided to try it for another month and I’m so glad I did. Between 4 and 8 weeks after starting the product, I started seeing amazing results. For the last few years I’ve been getting hard dry patches on my skin. A few years ago it was chronic and my skin started peeling and flaking alarmingly. I managed to calm it down but have been left with slightly rough patches ever since. They are now gone! I wondered if it was just me or if my skin therapist who does my Jet Peel‘s would notice. She remarked on my skin before I even had a chance to ask her. She said it was more hydrated, had more tone and was definitely plumper with a much improved texture. Wow! What face cream will do that? The company, called Rejuvenated have a number of other products that work alongside Collagen Shots that maximise the results. H3O Night Repair is a supplement that contains the wonderful antioxidant Astaxanthin as well as a high dose of Grape Seed extract (and many other highly nutrient rich ingredients). It hydrates the skin wonderfully and is also taken at night. The two together pack a powerful punch (although it’s fine to use Collagen Shots on their own). And to add to this there’s a third product called H3O Hydration. This is a potent hydration formula containing hyaluronic acid and resveratrol (THE antioxidant for skin) and is also a powder you mix with water and drink. My hydration levels, already good, went right up after starting this. Fleur Borrelli (nutritionist and my co-author on The In-Sync Diet) was most impressed. I am far from the only one impressed with these products. 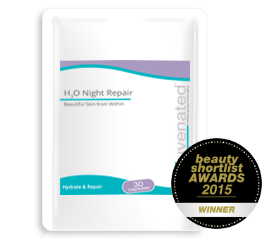 Both Collagen Shots and H3O Night Repair have recently won a Beauty Shortlist award which recognised the benefits of both products working together as well as on their own. My advice to anyone wanting to try this, is to go for all 3 products if you can. There is no doubt that all 3 together get maximum results. If not, then just go for Collagen Shots on their own or with which ever of the other 2 you think will be most beneficial for you. 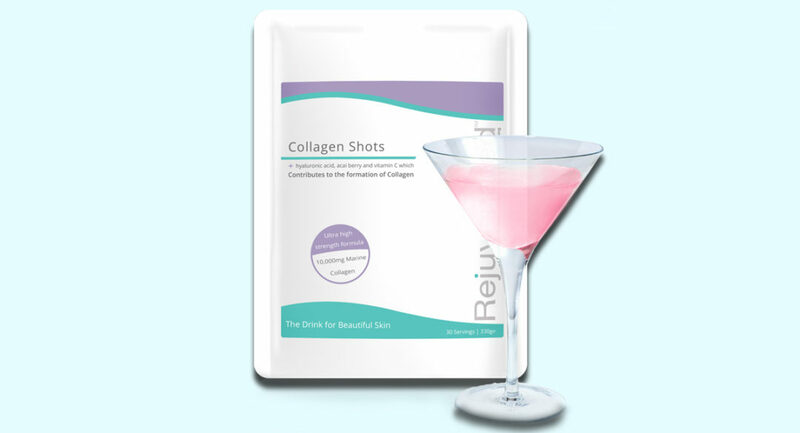 It’s also important to take the Collagen Shots for at least 2 months to see results. I now use the products regularly but will have the odd month or 2 off them. Obviously the more often you use them, the more results you’ll see. As ever, I’ve negotiated a discount for you (it’s only good for a couple of weeks). By entering the code GB you will get 15% off. I took these collagen shots for two months. Sadly, I saw absolutely no difference. I’m sorry to hear that. I saw a huge difference in that time. The rough dry patches I had suffered with for a number of years have completely gone. However, everyone’s different and although collagen usually takes 6-8 weeks to renew it can take longer. What’s your skin like? Do you have any problems or issues with it or is it fine and you were just hoping for a more youthful outcome? I would say give it another month. I was also taking the hydration powder as well which hugely boosts hydration which of course also helps how your skin looks. Perhaps you could try that as well? I would add that Collagen Shots is not a miracle cure and the effects are subtle. You’re not going to wake up one day and find all your wrinkles have disappeared. I did have a definite improvement in my skin quality however that even my beauty therapist noticed. I have looking into the collagen shots and Skinade. Have you tried Skinade as a comparison? I am unsure which one to go with. I’m not familiar with Skinade. 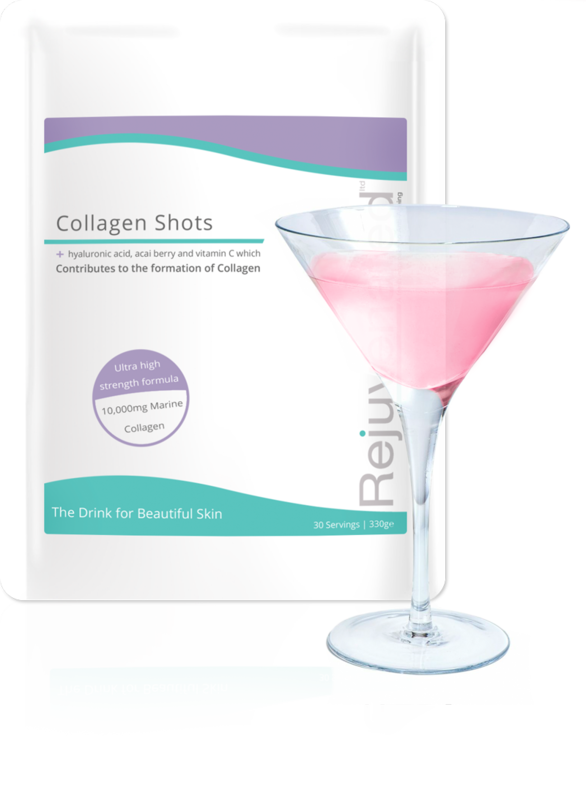 I’m so happy with Collagen Shots that I don’t feel the need to look any further since I discovered it. It’s top quality and has absolutely no nasties or unhealthy sugars in it and I got visible results.